The most important component in lead generation is the information you gather from your leads. One thing to keep in mind is optimizing conversion on your campaign, the simpler the form the easier it is for visitors to complete. The following is a guide on how to create your form on Wishpond, in which there can only be one form element on a given campaign. 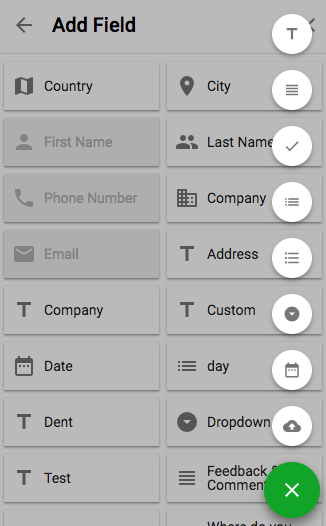 If there is form on your page it will be greyed as an option, otherwise you will be able to drag and drop the element on the page. 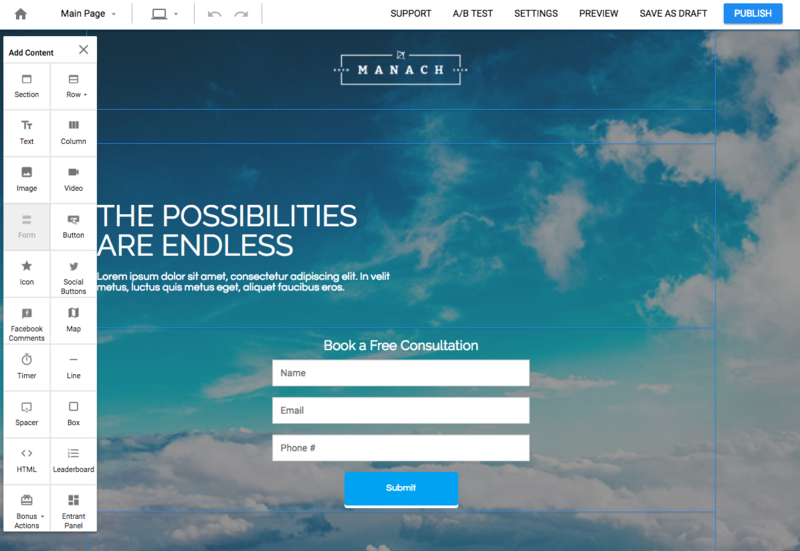 Once the form has been added to the page hover over it and click 'Edit Form'. The existing fields on your form will display, click on the '+' for other lead property fields. Clicking these will add the field to the form, however if you want to add custom fields select the green pen icon. text, paragraph, checkbox, multiple checkbox, multiple choice, dropdown, date, and file upload. 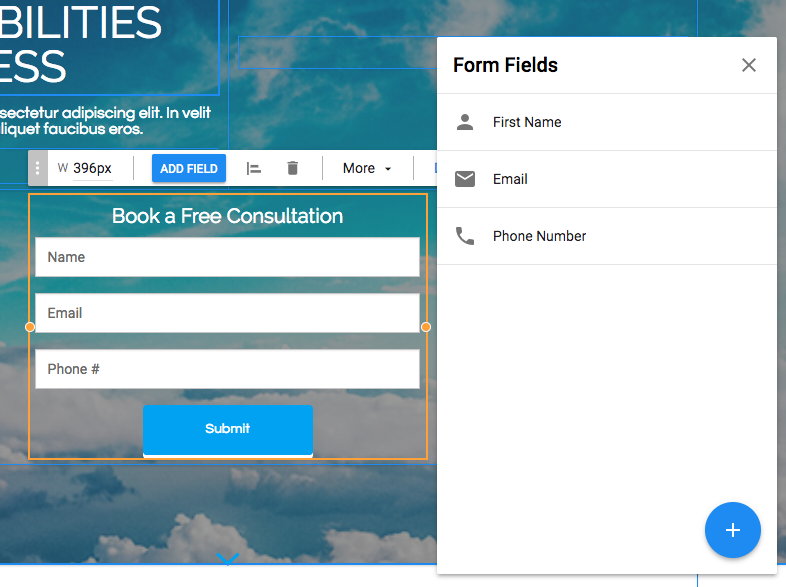 When adding a custom field you will first be asked to name the field and then asked to choose the lead property to match it to. You can either choose to create a new property or map it to an existing property. 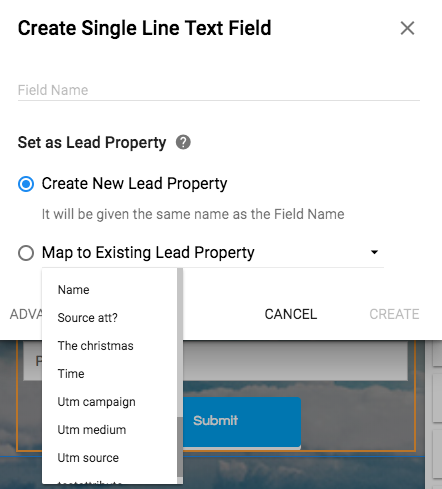 If you click 'Advanced Settings' there is the option to not have the field connected to a lead property however this means the filed would be campaign specific, and could not be used in any automation marketing/workflows or as a merge tag. 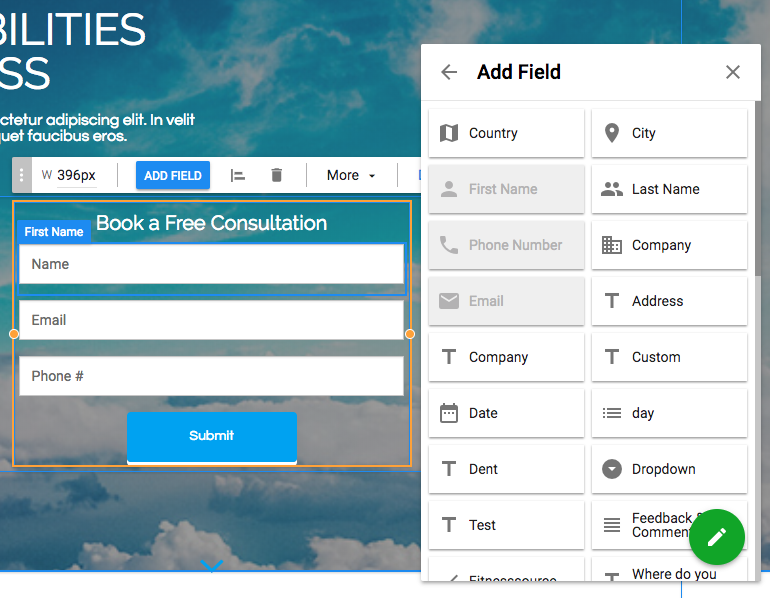 Once all of your fields have been added there are a number of other form settings if you click 'More' in the toolbar. Click on the field to edit the settings including a label, tooltip, or placeholder text. The default entry would allow you to add a merge tag in the field, this would allow the field to populate with lead information if you've already have it in your account. 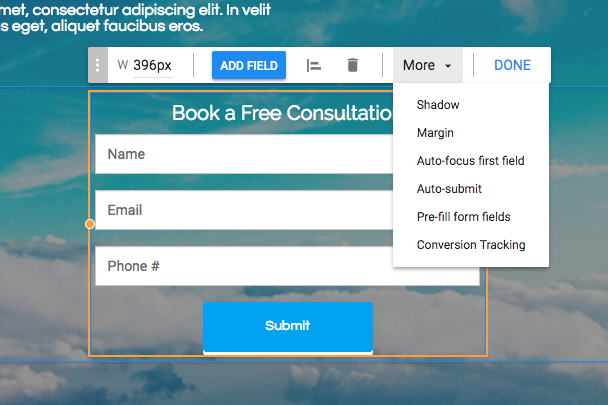 This makes it easier for leads to fill out any extra fields on the form. Click on 'More' for even more settings like making the field required or setting a hidden field. 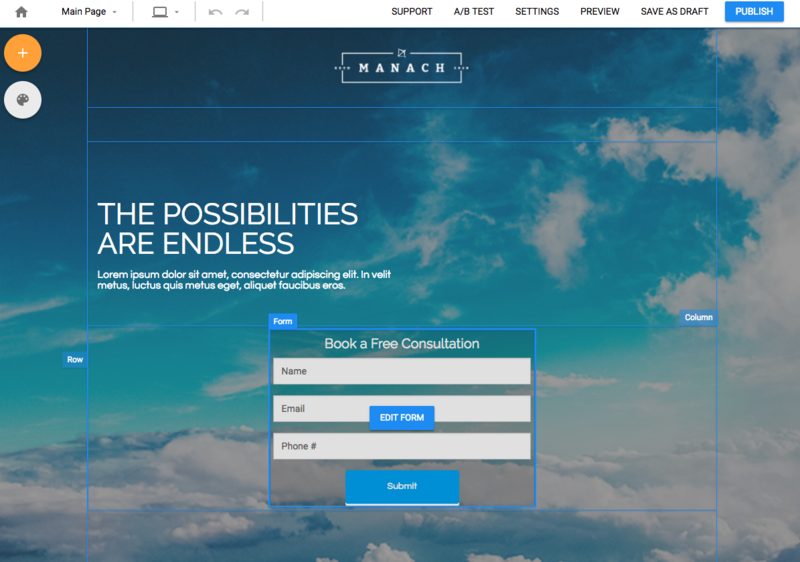 Once you've created your form click 'Done', finish designing your campaign and then publish to start collecting leads.